This is a large bodied snake that superficially resembles an eastern king snake. They seem to be very personable and aware of their surroundings. 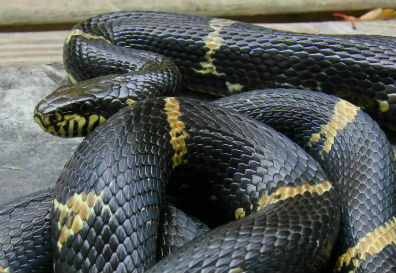 Russian rat snakes will take advantage of climbing branches in their enclosure. They prefer cooler temperatures than most snakes and are typically five feet long as adults. Because of the remoteness of its habitat in south-central Texas and northern Mexico, these snakes are not often found in the wild. My stock comes from Vivid Reptiles, which are locality specific to Val Verde County, Texas and selectively bred to produce a snake with metallic silver scales on a orange background color. 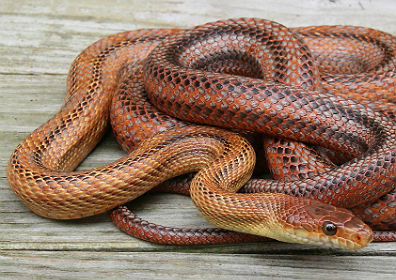 The average Baird's reaches about four feet in length and is among the most docile of rat snakes. This locality from South Palm Beach County, Florida is attractive and varible, with lighter colration than examples from the northern part of its range. They are commonly found around citrus groves, pastures and abandoned buildings. This species is hardy and beautifully colored. It is native to extreme southern Florida. 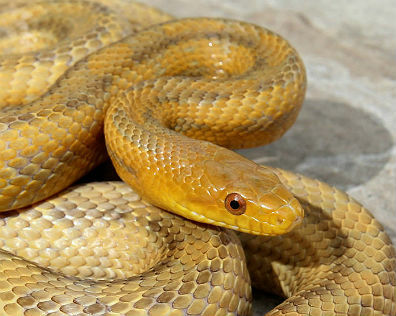 The hue of these beautiful snakes is a rich orange, with four indistinct gray stripes. The belly is a bright orange or orange-yellow.